This green turtle (Chelonia mydas) hatchling is feeling the first taste of the ocean. 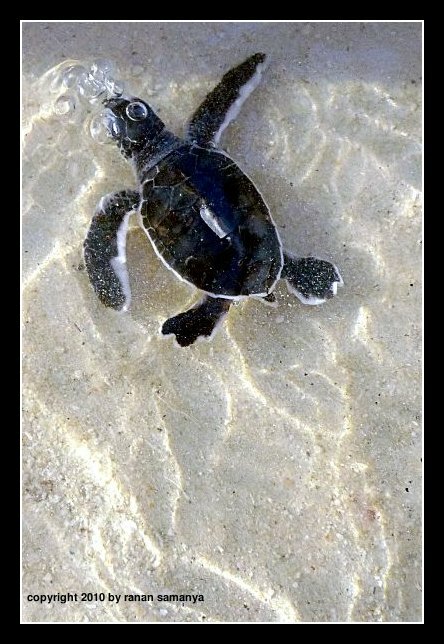 All turtle hatchlings are “equipped” with a sense of direction towards the water and can immediately swim. Their first steps are also recorded in their memories; this enable them to return to the beach where they were hatched to lay down eggs… approximately 20 years later or more.